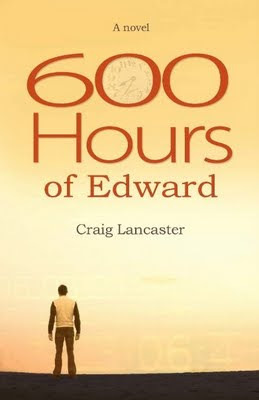 Now that I'm neck-deep in the world of books -- a fairly successful (but stumble-filled) self-publishing experience behind me and the launch of my novel, 600 Hours of Edward, with a mainstream publisher just days away -- I'm a bit awed to think back to where I was on the brink of November 2008. 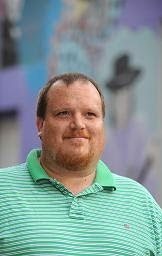 My friend Jim Thomsen had pitched the idea of trying National Novel Writing Month together, to see if either or both of us could finally break through and write the novels we had always talked about writing. I spent a couple of days before the event conceiving a story and writing a very loose outline of where I wanted it to go. In hindsight, I trace my success in finishing to that outline, crude as it was. I've been a journalist for more than 20 years, and thus most of my writing had never ventured far beyond 1,500 words. The idea of setting down 80,000 or so seemed preposterous. The outline, which I'd never attempted before, served as my trail of breadcrumbs through the woods. I knew I would be writing quickly, and so I came up with a character (Edward Stanton) stricken with Asperger syndrome and obsessive-compulsive disorder, whose heavily regimented life revolved around a few key touchstones (his love of the old color episodes of the ’60s cop show Dragnet and his compulsion to record weather data and daily waking times and to write nightly letters of complaint that never get sent). Those habits, which would show up chapter after chapter, gave me a framework, and I built a story arc in the spaces in between. On Nov. 1, 2008, I started writing. On Nov. 24 -- 79,000 words later -- I finished. I can revisit my stats page at the NaNoWriMo site now and see just how maniacal I was. On Day One, I set down nearly 6,000 words. I then took a couple of days off. I doubled my total on Day 4 and then rested again. After that, I settled into a rhythm of 3,000-plus words a day. On Day 22, I wrote more than 9,000, shooting from 63,000 to 72,000 and bringing the end within view. When I returned to the manuscript a couple of weeks after finishing, I didn't hate it. So I spent December and into January editing and recasting. Because Edward, my protagonist, is such an exacting fellow and so beholden to patterns, I took a hammer to every florid phrase and recast it in his flat, matter-of-fact voice. I winced at the loss of some nice turns of phrase, but in sum, the story improved. Still, I wasn't quite sure if it was any good. I decided, then, to simply publish it myself through CreateSpace (the low cost of entry and the access to Amazon were big selling points). I figured that I had written a novel, that if nothing else my circle of friends might enjoy it, and that I would dip a toe into publishing. That decision -- so naive, so dumb and so simple-minded -- changed the way I came to view my prospects as an author and as an independent publisher. More on that in the next installment. To enter into a drawing for a copy of the book, go to Craig's website and sign-up for his mailing list. You can also visit his blog by clicking here. This is really inspiring! I'm looking forward to starting my first NaNoWriMo this year and I'll be coming back for more tips. Interesting post. And a testament to outlining, whether it's an extensive outline or a broader one. Just having that framework seems to have been a huge factor. I've been writing nonfiction for 40 years, and am about to dip my toe into fiction. I'm too scared to enter nanowrite--don't want to put that kind of pressure on myself. But your success story is very inspiring. Helen, you're right: Outlining was the key, at least in my case. Because writing is such a solitary endeavor, I can't say "this is how to do it"; I can only say "this is what worked for me." The outline allowed me to chart a dramatic arc before I wrote and then to stay on course once I started. I wouldn't have finished otherwise. Karen, I'm a non-fiction writer, too, but have played along with NaNoWriMo (National Novel Writing Month) for the last four or five years. That group energy and constant rah-rah from the leaders over there makes a world of difference. I encourage you to try it - even if you don't hit 50,000 words (the goal) you have thousands more than had you not participated. Oh, do it! Great story, and I am so glad you shared it with us here. I especially like the fact that you were willing to let go of some of the writing that you loved but it didn't fit the character. That is one hallmark of a dedicated writer. Sometimes we love that beautiful phrase so much it is hard to let it go, but we must to be true to the people in our book. Also chuckled at your fear of writing more than a 1,500 word article. I once had a writer who worked for me who got a contract for a book and was terrified at the thought of more words than a feature article. I suggested that she not think about the whole, but rather each chapter like one article. She was comfortable with that approach. Craig is right, right, right about outlining. As his wingman in last year's NaNoWriMo, I oped to go without — and I quickly jumped the rails. My novel got so bogged down in backstory and character development that I wound up starting over in mid-month. And, as you might guess, I didn't make it to the finish line. This year, I'm applying last year's lessons. And next year ... who knows? My story might well be Craig's story this year. By the way, the Amazon link inexplicably says that the book ships in 1 to 2 months. The publisher is working to get that changed with Amazon and wishes everyone to know that it ships in 1 to 2 days. Thanks! Sometimes I think it makes more sense for the author to buy a stack of his own books at cost, and give a buy link on his own website to avoid confusion. Get your money faster than a royalty check, too, that's for sure. At least early-on during heavy promos. Beats frustrating the buyer, know what I mean? Dani, I agree with your suggestion to have some books on hand to sell, but that doesn't help the folks who go directly to Amazon and miss that note on the Web site that you have books available. It is amazing what people miss on sites. I have people coming to WinnsboroToday.com all the time and don't see the disclaimer on the top of our home page. Well, don't be too impressed, Heidi. Mania isn't always a pretty thing. My dear wife, who is beyond understanding about my compulsion to write, refers to November 2008 as the month we test-drove divorce. I'm pretty sure she's kidding. Wow, that is amazing! A great concept for a story, plus I admire your sticking to the NaNoWriMo. I had to give up last year. Too many other things going on. You are every WriMo's hero! Now can you write an article on what you did in Dec & Jan to edit it? That's the part that scares me. Two things saved me, I think: First, even in a mad dash, I'm a fairly controlled writer. Not the most poetic, not the best with a plot, but I do tend to naturally rein in the excesses. Second, I'm an editor by trade, and I've learned to be coldly judgmental not just with others' words but also with my own. So the editing wasn't difficult or painful. I rather enjoyed it. This is the stage where having a writers' group full of people you trust can be enormously helpful. I'd like to think that I'm a thorough self-editor, but it's undeniable that my writer friends expose flaws that I miss.